Some betting sites only offer one major product, whilst others excel in one area but don’t offer anything more than the basics in others. We’ve seen this many times with online casinos who have launched sportsbooks – their casinos may be fantastic, but the sports side often lacks depth. 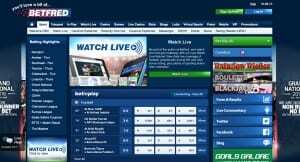 On this page we cover the websites who offer top notch products for both sports betting and casino. Many also offer other products such as bingo or poker, but for the most part we’re focussing on the sports/casino combos. You shouldn’t be surprised to see that most of these are the big name bookmakers, for some reason it seems that bookies who venture into casino do a much better job than companies doing it the other way around. 888 is now one of the biggest gambling brands in the industry and gives pretty much all companies in each field a decent run for their money. They have been about since 1997 which also makes them one of the oldest and it’s clear from spending just a little bit of time within the site that they have put their extensive knowledge to good use. The sports betting section are probably best known for offering up some of the biggest promotions that we have come across. If you are a new customer then these will likely change each week, but once you are registered you will be able to take advantage of some insane price boosts throughout the site. The casino, bingo and poker rooms that are on offer are each powered by multiple software providers and these days are some of the best in the business. Again, the standout feature within each are the massive promotions that they run for both new and existing customers, something that isn’t often rivalled by any of their competitors. 10bet have been about since 2003 and in that time have made steady progress. The ability to offer sports and casino offerings has definitely helped them in their quest to become one of the best in the industry. They are based out of London and as a result are now one of the biggest gambling companies based solely within the UK. Their sportsbook is probably what they are best known for and we think is their strongest feature. 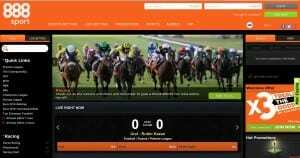 Their site comes packed with sports and markets to bet, with the highlight undoubtedly coming from their enormous live betting section. On top of that you can enjoy features such as cash out betting, a plentiful amount of promotions for both new and existing punters, along with a really strong mobile betting app as well. Whilst the casino does play second fiddle somewhat to the sportsbook, the games that are on offer will hold their own against even the best in the business. They use a wide range of software providers to power the casino including Microgaming, NetEnt and PlayTech, to name just a few. The casino can be accessed in over 20 countries comes with hundreds of games to choose from throughout the casino. Coral have been about since 1926 and are based out of Nottingham, England. The site is not only one of the industries oldest gambling companies, but they are also one of the biggest, which is highlighted by the companies record turnover figures of £1.2 Billion in 2013. With Coral you are very much getting an all-round package, with sports, casino, bingo and poker games all on offer. The sportsbook is the companies most successful and most profitable business sector. With it you get a huge range of sports and markets to bet on, but not only that, the site comes packed with features such as live streaming, live score centre, in-play betting, mobile betting, news, blogs, statistics, Coral Radio and the Football Jackpot, to name but a few. The casino uses a number of software providers such as NetEnt, IGT, Cryptologic and Electrade to offer up hundreds of games. Their slots selection is one of the best that we have seen with some unique titles to accompany the ever-increasing list of branded games that are on offer. Ladbrokes has been in operation since 1886 and are a brand that pretty much all affiliated with the industry have heard of. 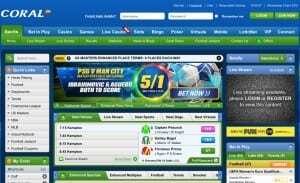 They started life, like most with high street stores and whilst they still have a thriving range of betting shops, the vast majority of their bets are now taken via their online betting site. In July 2015 the company joined forces with the Gala Coral Group and are now recognised as the biggest betting company in the world. Whilst their official title is that of Ladbrokes Coral, the term ‘Ladbrokes’ is still very much affiliated with the company. As you would expect from one of the biggest companies, their sportsbook is simply staggering in terms of what’s on offer for punters. The range of sports and markets are huge, but the diversity of countries and leagues that you can bet on is rivalled by very few. They include live streaming, football coupons, a plethora of new and existing player promotions all fully equipped under their all-new design for 2016. The Ladbrokes casino and poker room are equally impressive and both are powered by Microgaming, This means that within the casino you can choose between 500 different casino games, and with the poker room you are able to tap into one of the largest networks of players in the industry. Betfred are one of the oldest bookmakers in the industry these days after opening their doors back in 1967. The company was founded by Fred Done and throughout the early days spent the majority of their time on the high street and at local racecourses. They quickly expanded to incorporate dozens of betting shops throughout the UK and Ireland before then making the switch to online betting. The sportsbook is now one of the best for both horse racing and football betting. They plough in huge resources to cover both sports pretty much as well as any of their competitors. Outside of this Betfred are best known for their foray into new betting markets, coming up with things like Goals Galore and Double Delight- Hat trick Heaven. The site also includes comprehensive bingo, poker and casino opportunities with hundreds of games being accessible throughout the site on all platforms. On top of that they have moved into the mobile sector with a dedicated betting app available to download for free form the App Store and Google Play Store. 32Red have been about since 2002 and have seen almost instant success from their online casino offerings. Based out of Gibraltar, the company have been leading the line for casino for a number of years now, but their latest inclusion of sports betting has allowed them to add another string to this now massive company. The casino hosts over 500 over the best games in the industry and over the last decade or so they have been awarded countless industry prizes for their efforts within this sector. The company work extensively with one of the biggest and best software providers in the industry at the minute, Microgaming. With this it means that that they are able to offer their casino on both an instant play and a download basis. The sports betting section has come much later than the casino, but if you were completely new to the brand and not in the know, then it’s likely that you wouldn’t be able to tell. 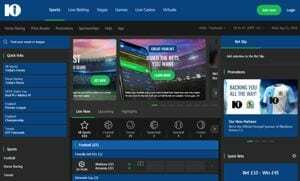 With a wide range of sports, markets and features such as live betting and mobile betting, the site is more than capable of holding its own against some much more established brands. BetVictor was founded in 1946 and set up their first high street stall by the founder, William Chandler. But, it was Chandler’s grandson, Victor, that really moved the company forward in terms of development and for a long time was regarded as one of the biggest high-street bookmakers trading under the name Victor Chandler. In 1998 the company opened their doors to allow punters to bet online and in the same year moved their operations to be situated in Gibraltar to take advantage of leaner tax laws. The company changed their name to BetVictor in 2014 when new owner Michael Tabor decided that they needed a refresh in what was initially deemed a controversial move given the heritage behind the brand. 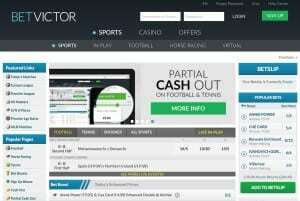 BetVictor now utilises their role in the industry to provide some of the best sports betting practices going. They work hard on creating an all-round bookmaker meaning that they cover a plethora of sports and markets from around the world. On top of that they include a cracking online casino, which accompanies the sports betting side of the company perfectly. After springing on the gambling scene in 2006, Betway have managed to propel themselves to become one of the most versatile online gambling sites in the world. The site is famous for allowing a wide range of people from countries all over the world and is available in a massive number of languages and currencies to bank with. The sportsbook has seen a pretty large overhaul within the last few years and as a result has meant that Betway are now able to really challenge some of the more established sportsbooks in the industry. The site includes a number of feature such as statistics, free bet clubs and a plus promotions section, where existing users are able to take advantage of a huge range of promotions and offers. On top of all this, Betway users are going to be able to play casino, bingo and poker games from the one account. What’s unique about Betway is the ability to play games from the Microgaming network, which allows users to still download the casino client if they wish, whilst also being able to play the instant play browser based format as well. ComeOn have only been about since 2010, which in relation to some of the names makes them still very young. But, the site has made some impressive strides in this short period of time and has progressed at an alarmingly impressive rate. One of the things that stands out from ComeOn has been their ability to quickly combine both sports and casino games of the highest standard. 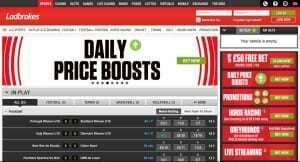 What you’re going to find from the sports betting side is that the bookmaker offers up a solid betting platform that will appeal to most bettors. They target the likes of football and American based sports the most, but more recently they have included horse racing into their portfolio, which adds another layer of depth. The casino is powered by NetEnt, which are another exciting casino brand offering up fantastic games. The size of the casino isn’t huge, but will cover a good couple of hundred games, often more than enough for most players. Betfair is the world’s biggest betting exchange and were pioneers of this sector of online betting when they spring onto the scene back in 2001. 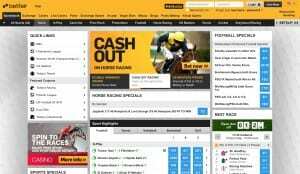 The site basically allows you to become your won bookmaker on the exchanges, giving the punters the option to both back and lay a certain bet. But, the millions of players that they now have signed up to the brand are able to enjoy a lot more than just a betting exchange. One of the ways in which they are able to keep ahead of the curve is by adapting their betting exchange to include a more ‘traditional’ betting experience as well, with bets being taken by Betfair rather than just peer-to-peer betting. Whilst sports betting plays a huge part in the makeup of Betfair, it’s worth noting that they also include reputable bingo, poker, casino and even live casino gambling experiences. This now makes them one of the largest gambling sites of their kind and the only betting exchange to all forms of gambling under one roof.